Does Summer for you mean lazy hazy days and chillaxin? Lucky you! I am jealous. Who's Summer is really like that right!! I am realizing that kind of Summer may not exist for me. For example, we have baseball games times two. Over due doctors and dentists appointments. Upcoming swim lessons. We are implementing a much needed chore schedule. We are starting piano lessons for Oldest. There will be school time so that little minds don't turn to mush. Then we do have some family fun time we are trying to squeeze in. I think a lot of us have Summers like this...I am guessing some of yours are even busier. You know what a jam packed schedule means, right? I love super easy meals. A lot of days I just need a recipe that is fast to make. I also always need recipes that my Little Men will devour. It also helps if it is something that Mom and Dad will like too. We found it. Pizza Crescent Rolls. We have been making this recipe for months now. 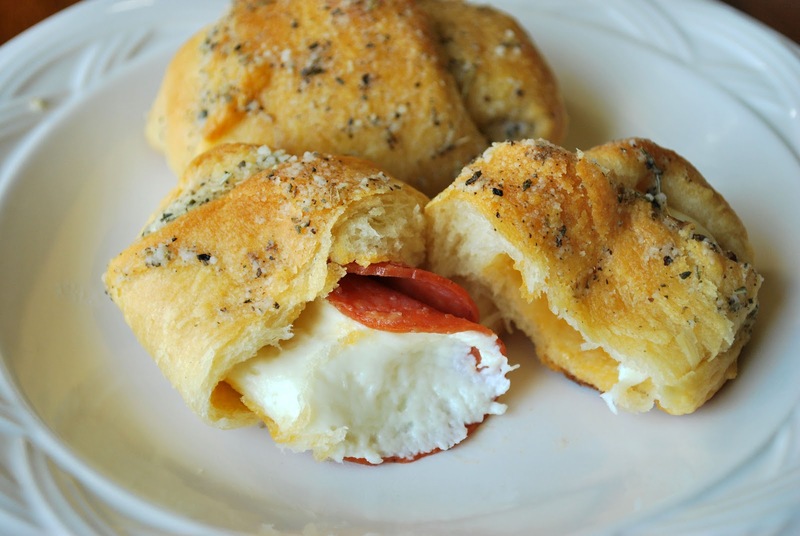 The ooey gooey cheese and the pepperoni are nestled quite delightfully in the warm and flaky crescent roll. The whole thing is topped off with a slathering of a melted butter/Parmesan cheese/garlic/herb mixture. These will be a crowd favorite for sure. I double this recipe for our family of five eaters. There are leftovers for lunch the next day. On each crescent roll triangle, place 2-3 pieces of pepperoni and 1 half piece of cheese. Roll up and place seam side down on a cookie sheet. Bake for 12-14 minutes or until golden brown. 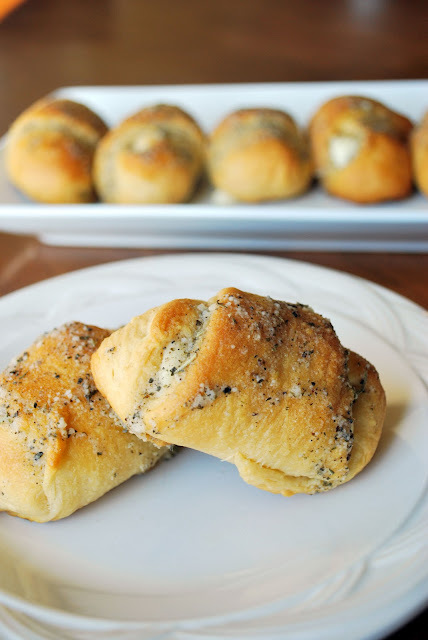 While rolls are baking, combine melted butter, seasoning, garlic, and cheese. When the rolls are done, brush the tops with the melted butter mixture. Serve them with marinara sauce for dipping. See what I mean about easy? These look so good, I have to make these over the weekend. These look yummy. I am especially loving the herb mixture on top. The problem is that they are so small so I would feel justified in eating like 20. Definitely gonna give these a try. I totally eat more than I should! That is the glory of them being small...hahaha. I nominated you for a Kreativ Blogger Award. 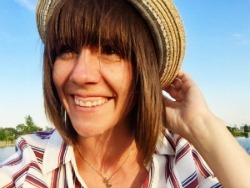 Melissa, you are the best!! Thanks!!! Just found your blog via Pinterest. Looooovin it. Thanks for the inspiration!